A : How many brothers and sisters do you have? B : I have an older sister and two younger brothers. A : Do you live with your parents? B : Yes, I do. What about you? How many people are there in your family? เยส, ไอ ดู. วอท อะเบาท์ ยู? ฮาว เมนี พีเพิล อาร์ แดร์ อิน ยัวร์ แฟมิลี? 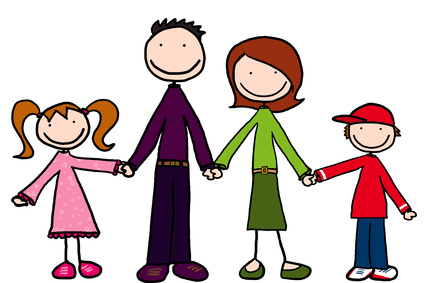 A : There are six people in my family; my dad, my mom, my older brother, my younger sister, my twin and I. B: How are your family members? A : My parents have got a cold, but the others are fine. B : Hope your parents get well soon.